Chilled water added to a spoonful of rose syrup makes a delicious refreshing drink, something which can refresh the mind, body and soul in minutes. 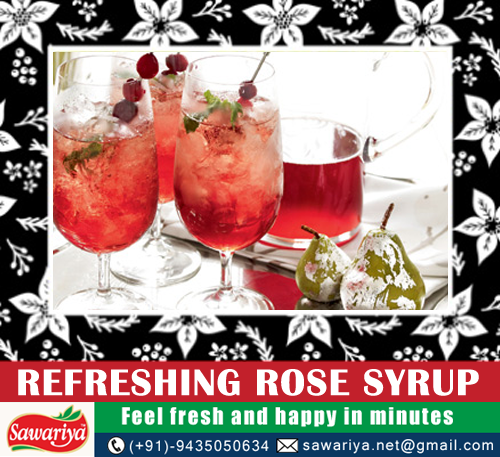 The goodness and aroma of rose syrup, instantly gives a refreshing feeling and makes one feel rejuvenated. Made from the essence of fresh roses, this delicious syrup can be served in birthdays, marriages or any special occasion to add that royal touch.